Apple is preparing to hold the third special media event of the Year 2014 after September 9, 2014 and World Wide Developer Conference (WWDC 2014) events, which already held this year successfully. The upcoming "Apple's October 16, 2014 iPad / Mac" media press event will take place at "Town Hall Auditorium" in Cupertino, CA, USA on Thursday, October 16, 2014 at 10:00 a.m. PDT. Apple has already issued official invitations to guests for special event announcement having written tagline "It’s been way too long". 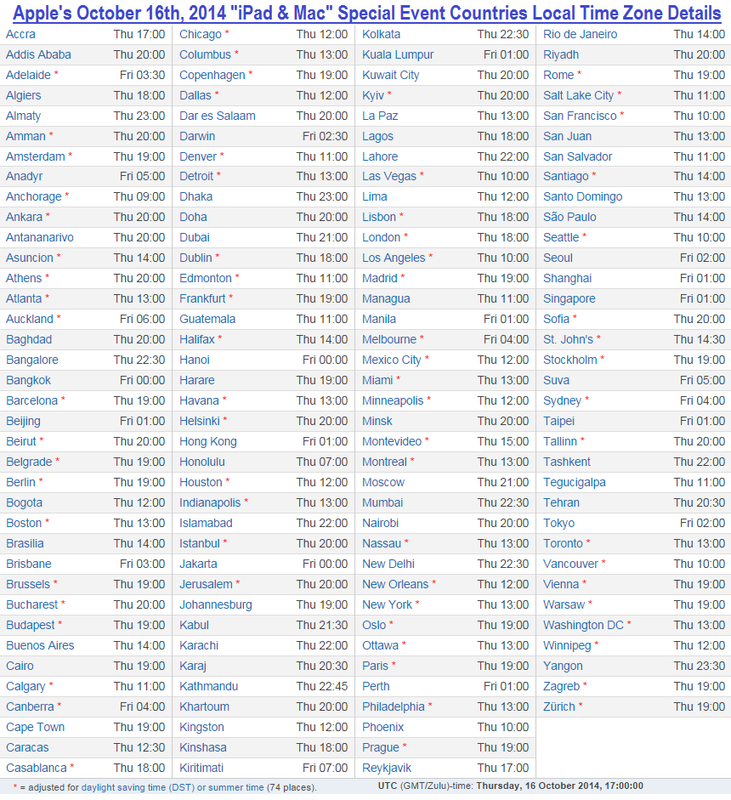 You can officially Watch Apple's October 16, 2014 Live Media Event Keynote via Video Streaming Link on Mac OS X, Windows, iOS, Apple TV and Apple's Website. On Mac PCs / Laptops: Safari Web Browser v5.1.10 or later on OS X v10.6.8 or later. On Apple TV: 2nd Generation or 3rd Generation Apple TV with software v5.0.2 or later. On iPhone, iPad and iPod Touch: Safari Web Browser on iOS v6.0 Firmware or newer. On Windows PCs / Laptops: QuickTime v7 Software installed. 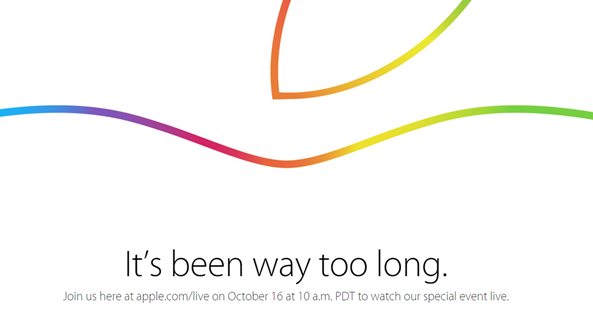 On the day of October 16th, 2014 at 10:00 am PDT (Pacific Time) or 1:00 pm EST (Eastern Time), you need to just visit the following Apple's website link for live streaming of Oct. 16, 2014 iPad / Mac Media Event Keynote officially. TechGlobeX will cover all the latest happenings, news, updates, sessions, announcements, videos and keynotes details about the expected releases i.e. OS X Yosemite 10.10, Sixth-Gen iPad Air 2 6G, New iMacs 2014, New iPads 2014 with Retina Display, iPad Mini 3, 5K 27-inch iMac with Retina Display, New iPod Touch 6th Generation Model, iOS 8.1 Firmware etc. So keep Follow Us!